Curator and writer Sarah Archer looks at the history, fads, and fetishization of stuffed toys and at where contemporary art has embraced them. Unlike pets, there is theoretically no limit to the lifespans of stuffed animals. Stuffed animals as we know them today emerged during the industrial revolution at a moment when our relationship with animals was shifting from one of rural necessity to urban and suburban pastime. Their lineage—particularly that of the Teddy Bear, named for President Theodore “Teddy” Roosevelt, who hated his nickname—is rooted in the rugged cultural pastimes of the nineteenth century. The popularization of hunting, taxidermy, and the “fancies” (or hobby breeding and showing of cats, dogs, birds, and other animals), all came into prominence during this time period. Hunting, particularly of big game, has long been a noble pursuit—perhaps as old as civilization itself. 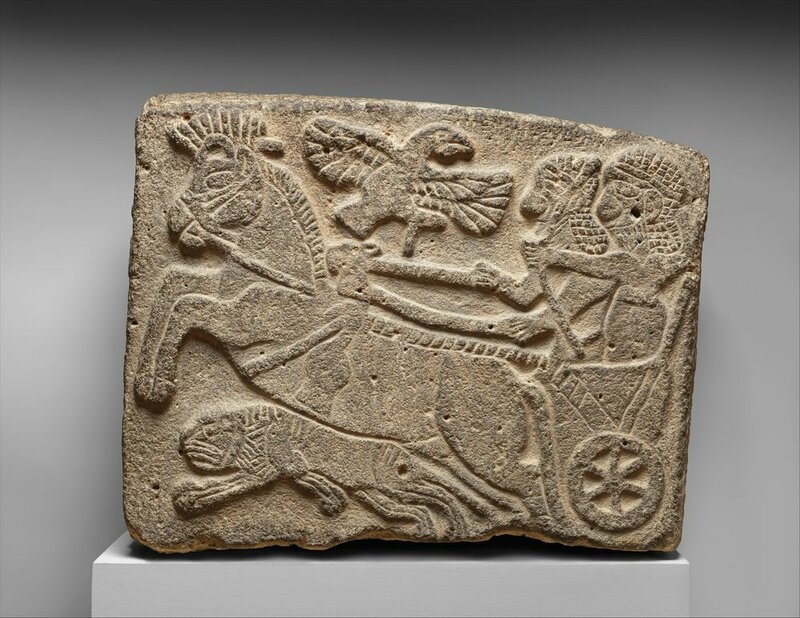 A Neo-Hittite basalt orthostat relief dating from the ninth century BC depicts a royal lion hunt, in which a ruler rides a horse-drawn chariot and subdues a lion while a bird of prey flies overhead. In the Islamic world, from Iran to India and throughout Europe during the Middle Ages and Renaissance, even as subsistence hunting remained an important source of food for ordinary people, the hunt was also a social sport for gentlemen and royalty. Hunters were furnished with fine specialized equipment, and hunting itself was understood as a way for gentlemen to keep their wits sharp during peacetime in preparation for war. Upper class landowners had exclusive rights to hunt on their estates. The term “fair game” referred to animals in territories that were were free to hunt by those of lower station. The word “game” itself, which initially referred to cards and board games in English, began to connote hunters’ prey in the early middle ages when the sport’s status as an elite pastime was solidified. This development was also the origin of dog breeding. Purebred hounds whose abilities in different kinds of hunts were valued, bred, prized, and painted both on their own and in family portraits in the seventeenth and eighteenth centuries. 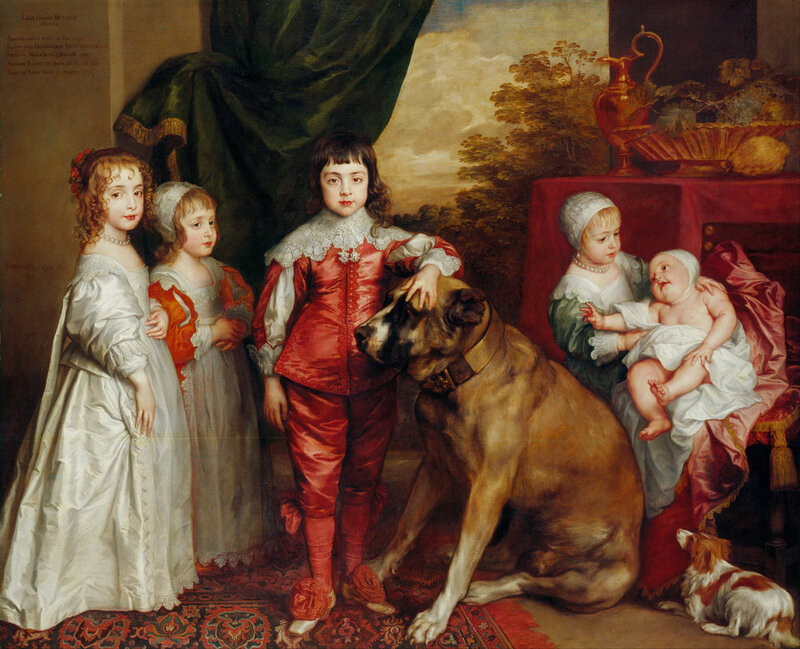 In Anthony van Dyck’s 1637 portrait The Five Eldest Children of Charles I, the future King Charles II gently pets an enormous, docile mastiff, while an eager spaniel gazes up at the siblings. The word “game” itself, which initially referred to cards and board games, began to connote hunters’ prey when the sport’s status as an elite pastime was solidified. Hunting was eventually democratized by colonialism. By the nineteenth century, European hunters of any class background could stalk game in overseas territories from Africa to Australia and South Asia, and bring back trophy animal heads or whole specimens to impress their peers back home. Theodore Roosevelt was an avid naturalist and conservationist whose passion for preserving the country’s wilderness was inspired in large part by his love of the hunt. Like a latter-day Mesopotamian ruler, Roosevelt reveled in the spectacle of the hunt, which was, as ever, strongly associated with the drama and pageantry of war. A sickly child who hailed from the highest social stratum in America, Roosevelt made hunting a metaphor for his bold political persona. As recreational hunting became popular among an array of social classes in the nineteenth century, so too did the breeding and keeping of pets. And in a somewhat macabre sense, a third hobby dovetailed perfectly with the other two: taxidermy. By the seventeenth century in Britain, the keeping of non-working animals was a status symbol, like the gentleman’s hunt, and indeed the association between dogs and hunting gave purebred canines an extra layer of prestige at pets, regardless of their owner’s hunting habits. The 1859 publication of Charles Darwin’s On the Origin of Species and the attendant fascination with categorization and taxonomy found its recreational match in the animal “fancies” that swept Great Britain and the United States in the nineteenth century. New wealth from industry and the colonies was upending the norms of Britain’s hereditary aristocracy, and an obsession with breeding, both scientifically and socially, was one result of the tumultuous change. Purebred pets had long lineages, proof of ancestry, were well-groomed and well-formed, and they fared well in competition. In death as much as in life, rare animals were objects of fascination and admiration. London taxidermist Edwin Ward created the famed “Lion and Tiger Struggle” display, which—though it depicted a scene from the imagination, and not nature—enthralled visitors who saw it in Paris and at London’s Crystal Palace. Taxidermy’s “golden age” in Europe was the last quarter of the nineteenth century, accompanied by the vogue for indoor curiosities such as aquariums and terrariums. The beautifully preserved head of an exotic animal or rare stuffed bird was a sign of refinement, and like the worldly contents of a wunderkammer, displayed evidence of global travel, or at least access to rare goods. Domestic animals have been moving steadily from the fringes of the wilderness closer into our living rooms. Since pets conquered Europe and America, according to David Grimm, the author of Citizen Canine, domestic animals have been moving steadily from the fringes of the wilderness closer into our living rooms, and at last, into our beds. Where it was once common for dogs and cats to be kept outside, at least part of the time, today, pet owners (or “parents”) welcome pets into every corner of their homes, and provide them with specialty bedding along with toys and treats. Grimm attributes this shift in part to the movement away from widespread farming, which has enabled us to think of animals as a new kind of family member rather than a working creature. The rise of smaller families means that many adults have opted not to have children, and thus have plenty of resources, time, and affection to devote to pets. Stuffed animals have a much different sort of cultural and emotional footprint today as compared with the moment of their origin. Though the earliest patented stuffed animal was based on the Beatrix Potter character Peter Rabbit, the stuffed animal who began the craze in earnest was the eponymous Teddy Bear. Stuffed toy bears were developed separately at the same moment by the American toymaker Morris Michtom and by the Steiff company in Germany in the early twentieth century. The American version was inspired by hunting anecdote about Theodore Roosevelt that was immortalized in a political cartoon. Faced with a bear that had been wounded by someone else in his hunting party, Roosevelt felt it was unsportsmanlike for him to shoot the animal himself, but asked that the bear be put out of its misery in any case. This gruesome encounter, of which political satirists made hay, yielded the first generation of Teddy bears. The Steiff model was introduced in 1903 at the Leipzig Toy Fair, and introduced to the American market by a buyer for George Borgfeldt & Co. in New York. 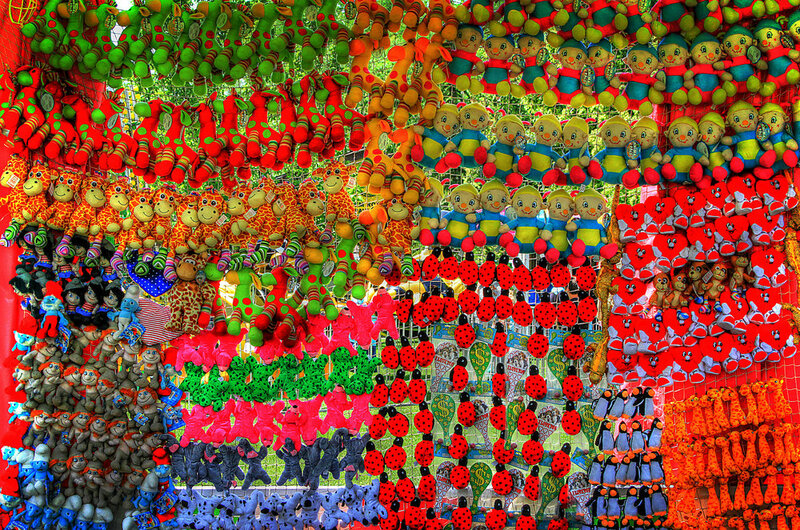 Stuffed animals are cozy sculptures or 3D cartoon characters invested with deep meaning that ordinary people can own. Since their premiere, Teddy bears have given rise to generations of stuffed toys in all shapes and sizes, some robotic, like Petster and Zhu-Zhu Pets; some highly collectible, like Beanie Babies; some exotic and mythic, like unicorns. While hunting and taxidermy have grown less popular, pet ownership has boomed, and the retail landscape for pet accessories and costumes almost seems like an extension of the stuffed animal universe. Browsing toy store aisles populated by wide-eyed seals and plush bears, the gruesome tale of Roosevelt’s wish for another hunter to put a wounded bear out of its misery seems the furthest thing imaginable. Stuffed animals, unlike their taxidermied cousins, bear no real relationship to the biological world. They are, essentially, cozy sculptures or 3D cartoon characters invested with deep meaning that ordinary people can own and even obsessively collect. Yet the implied narratives of their long history—those of the sometimes-brutal control of nature, and the violence of hunting, paired with the obsessive care and grooming of animal fancies—can never be entirely ignored. Stuffed animals come from a bloodless world, where all the beguiling qualities of companion animals can be enjoyed without paying the price of life and death. 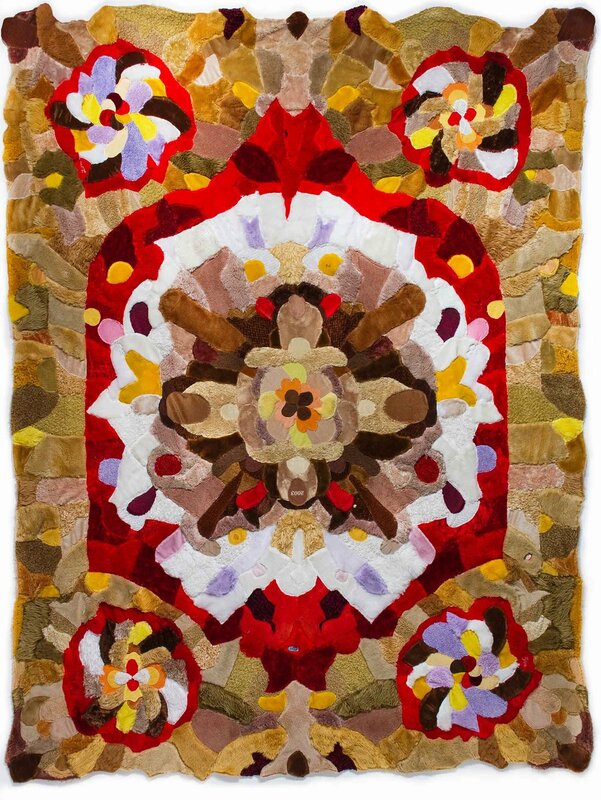 And the artist Agustina Woodgate has been creating rugs from the “skins” of second-hand toys, using them as though they were animal hides to create majestic carpets and wall hangings. Woodgate avoids using new toys, and chooses to work only with stuffed animals who had “lived.” This deliberate choice highlights what might be the most compelling aspects of a stuffed animal’s existence. The practice of hunting real animals, and of having pets, is punctuated with the moments of their lives and deaths. Stuffed animals, by contrast, outlive us. In industrialized nations, we are sheltered from the viscera of farm life (and death), much as we are from the realities of the births, illnesses and deaths of fellow humans, which more often occur in hospital settings rather than at home. The sight and smell of blood, even on an episode of a food and travel program on Netflix, is enough to spark horror and outcry. Stuffed animals come from a bloodless world, where all the beguiling qualities of companion animals—beauty, softness, cuteness, companionship—can be enjoyed without paying the price of confrontation with the real stuff of life and death. We do our best in the modern world to live this way, too: clean, free of germs, with minimal pain, and a studied indifference to the gruesome reality of being mortal. In Woodgate’s work, the technicolor stuffed animal “hides” are a stark reminder of the fact that we are more animal than they are. If the distilled, tender cuteness of contemporary stuffed animals is a metaphor for our desire to avoid pain and suffering in the physical world, the blend of humor and horror we experience at seeing their skins sewn together is telling: the control of nature does not make us immortal, and we are all fair game.